A while ago, Joe C. Hecht mentioned for the second time about his family joke along the lines that he had bad grades at school despite being good at the topics. He got tested which resulted in “You would make for a great computer programmer”. I wonder how this happened with other people in the IT. Did you get yourself a degree in that direction, or teach yourself programming and such? The reason is that I recognise what Joe wrote: I’m still a bad learner from books or theory as I learn by doing. I specifically didn’t try to get a Computer Science degree as in the late 1980s in The Netherlands it basically was a heavy math degree plus Computer Science topics. So it was basically doing two studies at once and I was only interested in the Computer Science parts. So I chose studying Chemistry (one of the science topics I really liked at high school) at the closest university to my home so I kept living with my parents. In 20-20 hindsight this was not the right choice. But at that time I didn’t know about the right choice. In about 4 years, I finished like 2.5 years of studying, was a geek-prototype (good at computers, bad at people skills) and still did a lot of Computer Science topics (even though the exams would be worthless as back then individual exams didn’t count unless they were part of the main direction of your study). The last year was prepping for practice and advanced topics. I slowly attended less and less sessions and did more and more programming gigs as somehow that was way more fun before slowly bailing out. I also sold network equipment to the university department helping them to connect to the internet and helped a lot of co-students with their computing issues and assignments, learned my way in DOS/3com/Novell/EARN/BITNET/DECNet/SunOS and VAX/VMS based technologies. I only found out why I bailed out more than a decade later: I was a pragmatic guy learning by doing, not suited for a university that tried educating theorists. Besides that the department I wanted to finish my studies has two four camps: a very theoretic camp (with nice guys: they were the ones wanting internet access very early on), two less theoretic camps fighting each other and a lazy camp filling their days basically with doing as little as possible. A very unproductive and depressing situation. I had worked at the research labs of the paint factory doing research close to my studies, but there was no way the university would allow me to do my research phase there. Even more depressing. Now (as always, hindsight is 20/20 vision) I know I should have bailed out early on and go for a more pragmatic study maybe not even a university but a polytechnic. On the other hand it helped doing a truckload of Turbo Pascal work (which I started at High School with Turbo Pascal 1 on CP/M with Apple ][+ and //e machines), programming in assembler/prolog/FORTRAN/C, getting connected to the internet (BITNET RELAY chat, mailing lists, early newsgroups, uucp, TCP/IP basics, thick/thin ethernet converters, serial and modem communication with Kermit and FidoNET, gopher, FTP and truckloads more stuff). It got me into the Delphi, .NET and open source worlds, doing a lot of travel and conference speaking and being an early adopter of many technologies and concepts (some even so early that they only got way popular decades later – like the 1980s “the network is the computer” mantra – or making sense – like the lock semantics topics really became useful when around the century turn single processor machines got multi-processor siblings and a lustrum later multi-core and multi-threading processors became available and ubiquitous around 2010) and taught me that being able to search and find things is way more important than knowing things. How did your education go and how did you end up in computing? After 3 years silence, JoHo has managed to resurrect the DOS version of FrontDoor and blogs about it at [A] reboot . defsol . com | Waiting for a call or event. After three years of “silence”, and some 15+ years since the last code update, JoHo has appeared on the FidoNet scene once again. Having relased FrontDoor in 1986, I guess it’s safe to say he’s been around (FidoNet) longer than most people. The biggest issue(s) seem to have been finding all the bits and pieces required to make/update FrontDoor, its utilities, as well as the long dead license key/code generator. Another issue is, of course, to find a suitable operating environment to put the pieces together in. JoHo has stated that what used to be called the “Commercial/MultiLine” version of FrontDoor is what every future of version will be, except not so “Commercial”. You can get a free license by simply sending him an e-mail. Look at https://www.defsol.com for more details. The “Reboot” project, as JoHo calls it, will have some details released at https://reboot.defsol.com. There is also a Facebook group available for FrontDoor users. JoHo can be reached at defsol@defsol.se, seen on Twitter at @joho68. He has also applied for a new FTN-address in Zone 2. Details will follow. [WayBack] FrontDoor announcement in FidoNews 1986 | joho.se feels like yesterday. [WayBack] There’s something going on … | reboot . defsol . com on getting FreeDOS, Turbo Pascal and other vintage tools working. Some of my early Fidonet memories pre-date my first email message on the internet: Ancient history – found back one of my earliest email messages dated in februari 1989! They include FrontDoor, RemoteAccess, GEcho, GoldEd and FileMGR. KPN heeft de apparatuur van zijn inbelplatform voor internet uitgezet. Het blijft nog wel mogelijk om in te bellen via het nummer 06760-12321, maar het inbelverkeer wordt voortaan afgehandeld door provider Xs4all. Early technically stable ISPs like DDS and Demon internet. “free” dial-up ISPs like 12move, zonnet, wannadoo, freeler, flevonet, raketnet, myweb, superweb, wish, etc. Yes, the Dutch are cheap indeed, so plenty of them keep changing their main email address when they switch to yet another ISP. mxstream (the first DSL you could get here) which got me 4 IP addresses at first which they later retracted to 1. I still have my original Courier HST Dual Standard modem from USRobotics I got around 1987. 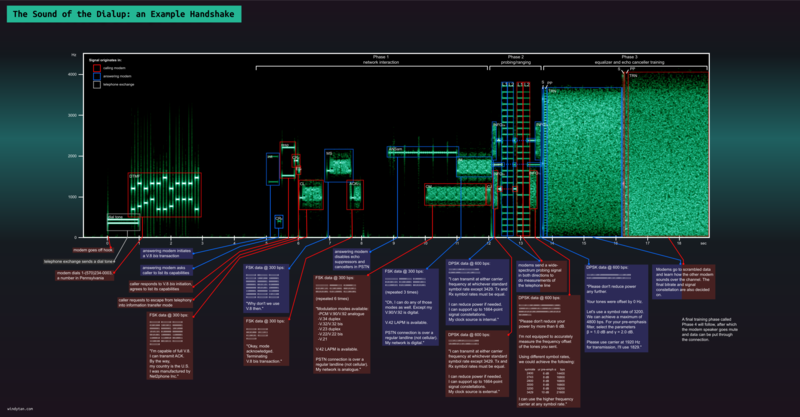 It’s looks like the second from the bottom at (image via: Do Modems Still Matter?) the picture below (one day I will make a picture when I’ve cleaned out the glass cabinet it is in; there are some more USRobotics, ZyXEL and DrayTek modems in it too). There is a very interesting piece of USRobotics (in Russian, but Google Translate does a nice job on it): The history of the US Robotics. The Courier HST standard would train faster and at better speeds over Intercontinental lines than the Trailblazer and Hayes and later V.32bis technologies. In addition, they were also faster with firmware upgrades to support faster speeds than competing brands. This mattered a lot to me, as initially CompuServe was only accessible by dial-up to the USA. 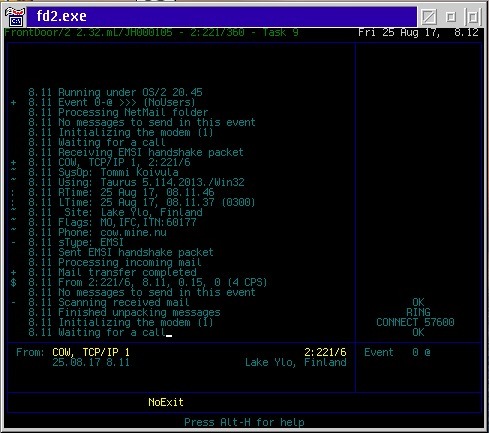 The same for a lot of BBS and FidoNet uplinks. For me, they weren’t any cheaper buying them (as the BBS discounts for them were not valid in Europe; I bought mine for a more than DM 1000 in Germany) but it was cheaper gaining knowledge (my motto always has been “a life long learning”). I stopped using PowerLine as it wasn’t stable enough, so during the replacement of our solar panels with more modern equipment a few years ago, had CAT-6 pulled up to the utility closed on the bedroom floor. Everything you wanted to know about modem and fax standards and software, but were afraid to ask is covered in this great overview article by Frank Gao from Gao Research. This article discusses all the functions that go into today’s modem products, but is not tied to any particular hardware implementation. Blast from the past: the digital highway as imagined circa 1995. Blast from the past: the digital highway as imagined circa 1995 (thanks Kristian Köhntopp for sharing this a while ago). Learned a new phrase too (handfeste Datenträger) for something a marching band friend of mine was involved in: before he suddenly passed away at 39 he was a “high bandwidth courier” giving meaning to the phrase by Tanenbaum “Never underestimate the bandwidth of a station wagon full of tapes hurtling down the highway” by driving around magnetic tapes and optical media between various locations for about 600+ km a day. Who could imagine in the age where ISDN at home (@ 64 kibit/s) was fast, that 20 years later you could have fiber (@ 500 Mibit/s) at home both for like EUR 50/month. It allows you to find new usage patterns. Which is good for imagination, work, etc. I lied a little. EUR 50/month is for the subscription only. Nowadays that means a permanent connection. In the ISDN days having a permanent connection to an ISP would set you down another EUR 50/month for the ISP, and about EUR 600/month of data usage to the telecom provider. I did that for a couple of years until cable and ADSL became available. Why? Because it was the fastest way to stay informed (gopher, newsgroups, mailing lists, early forums and web-sites) and get the latest software (mainly over FTP). Imagine this was only years after not even HCC being able to sustain the costs of a Fidonet transatlantic link, and now two decades later. I’ve posted about Fidonet before, and back-then it was the most affordable way to access information from across the world. Now less than a century after the first transatlantic phone service was established in 1927, world wide communication is almost free (and there is even internet in space). Vor 20 Jahren: »Telekom – Digitalisierung der Netze: Die Datenautobahn«. SteveStreeting.com » Hands on with JT’s fibre to the home. Marketing blast of the past via David Millington – Google+. I got most of the Delphi versions from D2-D6 on PC Plus magazine cover CDs, an English magazine also published in Australia. I wouldn’t be here now if I hadn’t had access to those free copies of Delphi when I was a kid. It came with a promotional copy of Borland Delphi… and unlike other “promotional” software often distributed on the cover disks of popular computer publications at that time, this one had absolutely no restrictions and was fully functional. From a really nice article by Simon Stuart. And of course it ends with correct Delph-ee pronunciation to be right: the community at large has spoken. Given this week went very different than I anticipated, here is a much shorter story than I hoped for. I’ll focus on the early days, you can read on the later and current days here on my blog. For me, my Delphi life has been pretty straight forward. It started with the early days and Turbo Pascal leading to Delphi.